Here you can find GATE EEE Practice Paper 1 Questions and Answers. Why GATE EEE Practice Paper 1 Questions and Answers Required? In this GATE EEE Practice Paper 1 Questions and Answers section you can learn and practice GATE EEE Practice Paper 1 Questions and Answers to improve your skills in order to face technical inerview conducted by Organisations. By Practicing these interview questions, you can easily crack any Competitive Exams interview. Where can I get GATE EEE Practice Paper 1 Questions and Answers? AllIndiaExams provides you lots GATE EEE Practice Paper 1 Questions and Answers with proper explanation. Fully solved examples with detailed answer description. All students, freshers can download GATE EEE Practice Paper 1 Questions and Answers as PDF files and eBooks. How to solve these GATE EEE Practice Paper 1 Questions and Answers? You no need to worry, we have given lots of GATE EEE Practice Paper 1 Questions and Answers and also we have provided lots of FAQ's to quickly answer the questions in the Competitive Exams interview. 5. Which one of the following statements is NOT TRUE for a continuous time causal and stable LTI system? Free Online Practice mock Test 1 for GATE Electrical engineering. GATE syllabus and Previous Year Question Papers with Answers Free Download. 1. 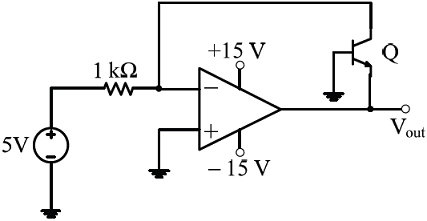 In the circuit shown below what is the output voltage (Vout) in Volts if a silicon transistor Q and an ideal op-amp are used? A. All the poles of the system must lie on the left side of the jω axis. B. Zeros of the system can lie anywhere in the s-plane. C. All the poles must lie within |s| = 1. 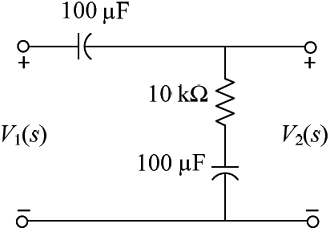 D. All the roots of the characteristic equation must be located on the left side of the jω axis.